Thursday, Nov. 6 at 6 p.m. — ROCHESTER — On Thursday, Nov. 6 at 6 p.m., the doors will open for the second annual Vermont Backcountry Forum & Celebration at the Pierce Hall Community Center in Rochester. Co-hosted by the new Vermont Backcountry Alliance (VTBC), its parent organization, Catamount Trail Association(CTA), and the Rochester Area Sports Trails Alliance (RASTA), the event aims to involve Vermont’s growing backcountry community in some solid discussion around Vermont’s backcountry future. A huge raffle, potluck food, a cash bar, live music and multi-media visuals will round out the evening. Proceeds from the event will support the responsible management of new backcountry zones in the Rochester region. The forum will also feature brief presentations and seek input around current projects, including the results of a spring 2014 Vermont backcountry survey, the latest draft of the “Vermont Backcountry Ethics”, and overviews of several new and existing backcountry zones which the VTBC seeks to help manage, with local partners, moving forward. 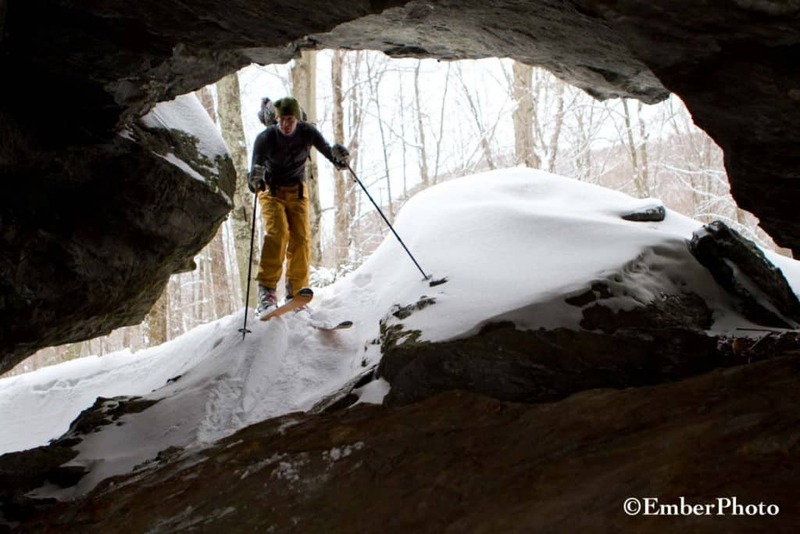 RASTA is spearheading two of these new backcountry zones, and has a proposal before the Green Mountain National Forest (GMNF) to develop and maintain new backcountry skiing and riding zones near Brandon Gap. This proposal is moving through an approval process, and RASTA is confident that management of these zones will commence in 2015. RASTA has also reached an agreement with the owner of a large area of conserved land in Braintree, Vt., where work will begin this fall. This summer, RASTA was recognized as a pilot CTA/VTBC chapter, a possible first step toward the CTA becoming chapter-based organizationally – similar to how the Vermont Mountain Bike Association (VMBA) and the Green Mountain Club (GMC) are organized. VTBC is also working closely with the VT Dept of Forests, Parks and Recreation (VTFPR) to help update land management strategies to better accommodate backcountry skiing and snowboarding on Vermont state lands. Representatives from both VTFPR and GMNF will be participating. Anyone interested in getting involved or supporting the VTBC is encouraged to join or donate to the CTA, the VTBC’s parent organization, which will be accepting grants and donations in support of relevant backcountry skiing and riding initiatives in Vermont. For more info, visit vtbc.org, catamounttrail.org, rastvt.org or Facebook.com/vermontbc. How to pick the right winter coat?